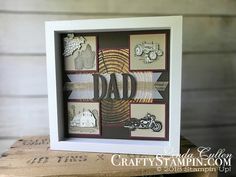 I love the bright and cheery nature of the Stampin’ Up! Tutti-Frutti Suite. This card uses the Fruit Basket stamp set and Itty Bitty Fruit Punch Pack for the adorable Strawberry. 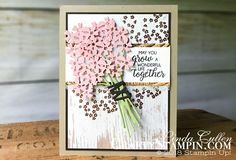 The hole for the ribbon on the tag is created with the ‘watermelon’ punch also from the Itty Bitty Punch Pack….what a great idea! This card makes me feel like I’m ready for summer!